This case was designed for the University Of Arkansas. 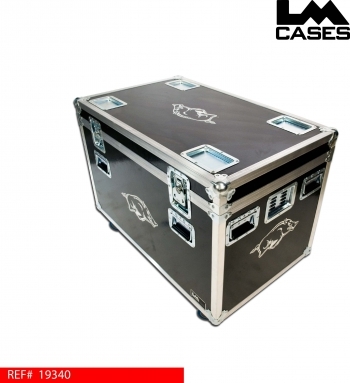 The case is built out of our proprietary 3/8" composite panels laminated with black fiberglass laminate. The interior of the case is lined with HDPE plastic to allow it to be easily wiped clean. 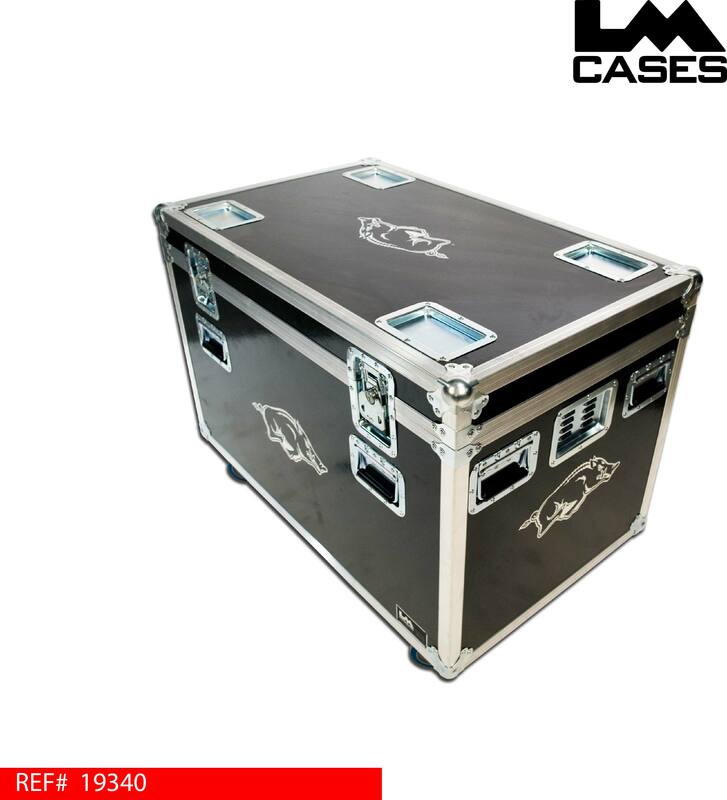 Because the case is built out of our composite panels and not traditional plywood, the case can get wet and not get moldy or rot. 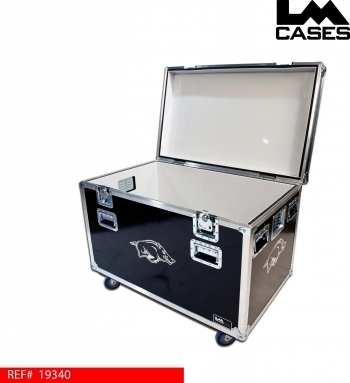 The exterior of the case features stacking caster wells, 8 handles, vent dishes, 4" casters and a custom silkscreen of the school's logo.